The dangers of electrical equipment are well highlighted with severe accidents and even fatalities happening through improper training and knowledge. Plug installations may seem like a simple job in mind but if the GFI (Ground Fault Interrupter) is not installed properly you will be at risk of electrical shocks. 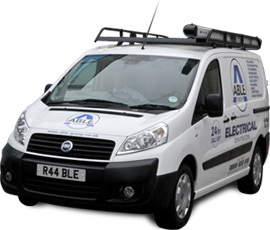 Able Electric has fully qualified electricians covering the breadth and width of the UK for plug installation and repair. Our 24 hour free phone customer support service will provide free quotes and estimates for all electrical outlet services. For domestic and commercial properties our electrical maintenance service is second to none with many happy customers throughout the UK. Customer Name:Mr D C Whittaker.